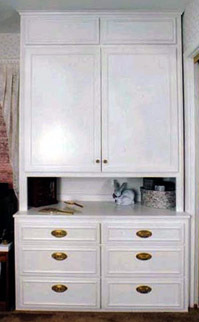 Examples here show Hardrock Maple built-in bed, armoire and matching desk. 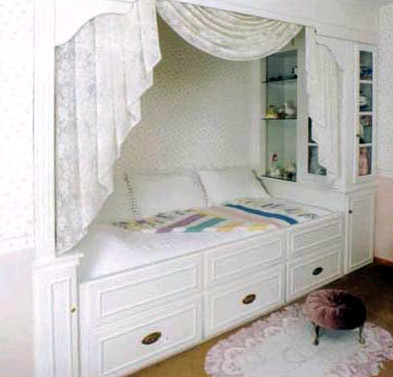 The bed and cabinets were designed to compliment the Victorian style of the home. 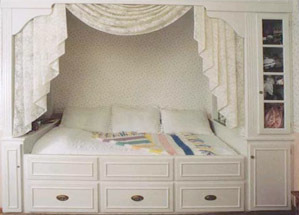 The headboard of the Hardrock Maple built-in bed provides enclosed cabinet space for books, easily enjoyed under the built-in halogen lighting above. 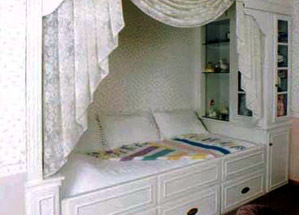 At the foot of the bed are glass-enclosed, halogen illuminated display cabinets. 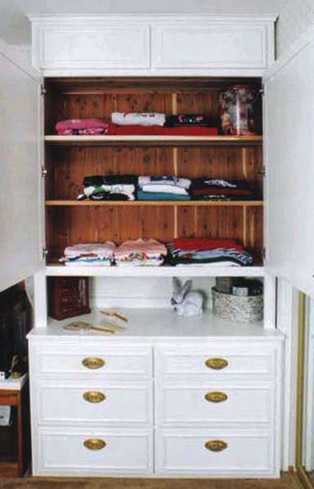 Below the bed are three storage drawers. The Hardrock Maple armoire presents small storage cabinets at the top, main cabinet with two adjustable shelves, counter surface and six drawers. 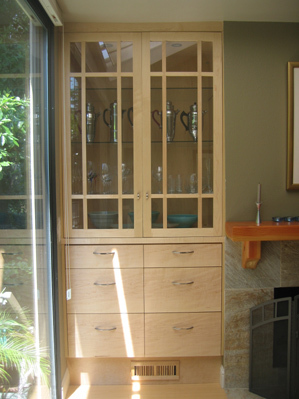 All cabinet sections are lined with Aromatic Cedar and adjustable shelves are of solid Aromatic Cedar. 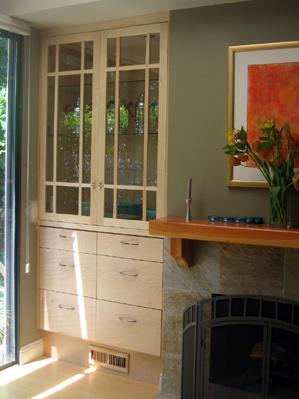 Drawers are built of Aromatic Cedar dovetail construction and furniture grade full extension slides. 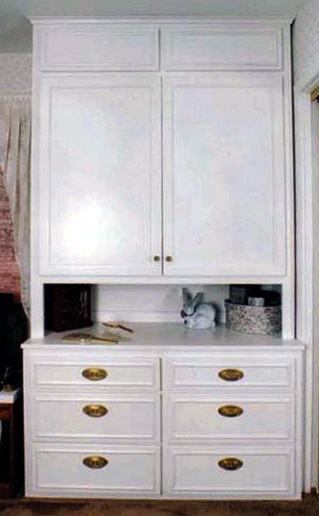 Drawer handles are Horton Brass antique reproduction. 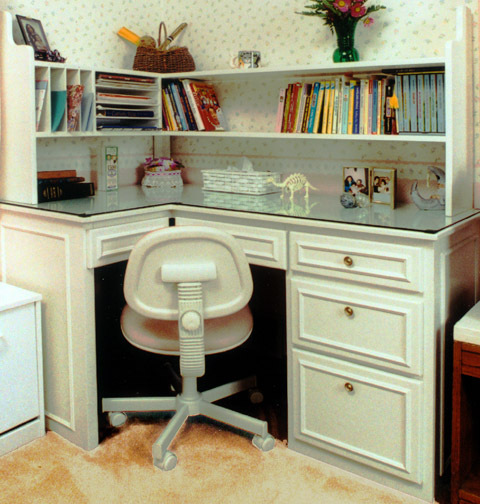 The Hardrock Maple corner desk includes shelving, fold-down drawer fronts for keyboard storage and use, and three office-style drawers. 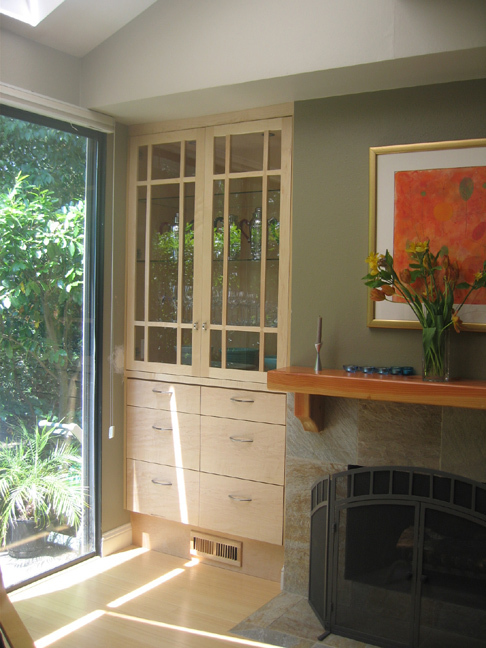 Drawers are built of dovetail construction and furniture grade full extension slides. 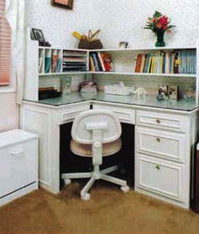 Desk surface is one-quarter inch tempered glass custom cut for the piece. 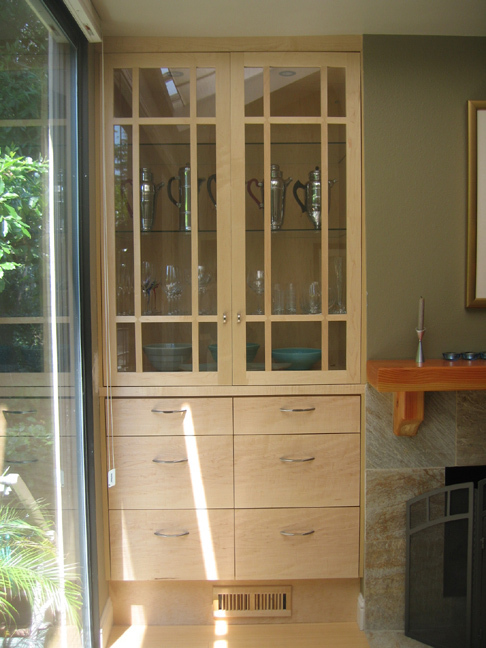 Clear Hardrock Maple built-in cabinet with glass shelves and interior halogen lighting; dovetail drawers with full extension slides and grain matched drawer fronts.